A customer buying their new telescope at Company Seven is often soon overtaken by the excitement of discovery and with a sense of pride of ownership. Over time the telescope owner will usually contact us again and again to buy accessories for the telescope however, among the list of accessories is one item that Company Seven can not provide - insurance. Insurance can bring the peace of mind necessary to help one become willing to actually use their telescope. In this article we provide an outline about what insurance coverage is usually available, and how you may wish to proceed. The most common insurance policies selected by the consumer are Automobile, Home Owner and Renter, and Floater or Personal Articles policies. For the purposes of this discussion we group Home Owner and Renter's policies under the term Residential policy. These policies are purchased and renewed by the customer on an annual basis, and are subject to policy approval and rate reviews by the insurance carrier. Policies provide payment in cases of loss for repair costs, or for replacement based on either Replacement Cost or Actual Cash Value. 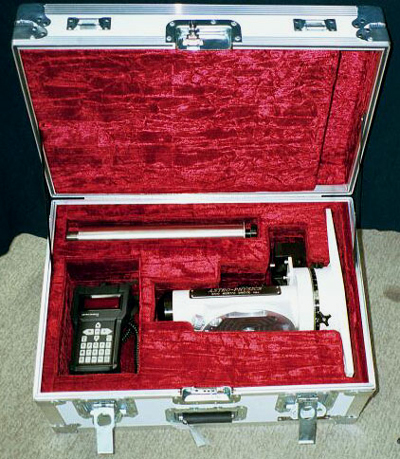 On rare instances a warranty provided by a manufacturer may provide protection against damage such as is the case with the unprecedented and still unrivaled Leica Passport Protection Plan, although in that policy the loss of an article is not covered since most residential policies cover fire, loss, or theft. In all policies the fine print varies, one must understand the available choices better when considering how to provide coverage for a telescope. Automobile Policies: generally provide little or no coverage for loss or damage of contents that are not a part of the structure or an installed option (upgraded stereo system, etc.) in a vehicle. However, if you are involved in a vehicle accident that is the fault of another, and if they are insured, then the other persons automobile "liability" coverage should provide some reimbursement. This may not be enough to pay the full replacement cost of a relatively expensive telescope. If you are involved in an accident with an uninsured motor vehicle, then your own Residential policy may kick in to provide this coverage (within the limits imposed by that policy). Home Owner or Renter's Policies: insurance policy terms can vary but the Home Owner policies routinely provide payment to repair damage occurring to the home (structure), with some limited liability and medical protection, and repair or replacement of most common personal items which may be damaged by fire, or theft, or natural disaster. Depending on your locale optional riders to a policy may be available to protect against other lesser threats including damage from sewage or drain backup, or earthquake. Renter's insurance policies can be purchased to provide coverage for loss of personal property owned by a renter. Renter's policies usually exclude coverage of the structure since that is the responsibility of the property owner. Floater Policy: The term derives from a time when many commercial and personal goods were sent by ship. The owner of the goods would often insure the cargo while in transit (or afloat) against loss. Its descendant remains in place to this day as this is a policy which is often required by the recipient in a "Letter of Transit" contract. The Floater Policy generally is an amendment to a Residential or Business policy which provides coverage against theft and most other forms of loss that are normally covered by home owners policies. And a Floater Policy provides coverage beyond that including many forms of unintentional negligence and downright stupidity by the owner. This coverage is usually in effect not only when at home, it may also remain in effect when traveling with the equipment to most areas of the world. Because this form of insurance is bought by customers for equipment of notable value, and is usually associated with higher than normal risk factors, the Floater Policy is among the more costly forms of insurance. There will be separate pricing schedules for various categories including furs or jewelry for example. An insurer will usually but not always set their rate for insuring telescopes based on that set for camera equipment. A Residential policy may be either "All Risk" or "Named Peril". While a Floater policy is usually All Risk. All Risk where there insured property is covered (up to the limits of the policy) while on premises, or off premises - even while in transit when traveling by air, or when sent by carrier. Named Peril where the policy is limited to provide coverage only in those instances where the loss occurred because of certain named hazards. Since an All Risk policy is so encompassing it will certainly cost somewhat more than the Named Peril policy. All policies will certainly have some measure of fine print, that fine print may cover damage by freezing of items located in the heated central part of a home but it may not cover the same item if it was damaged while in the garage. Residential insurance policies do not generally cover losses resulting from normal wear and tear. Other hazards that may not be covered by common home owner polices may include damage or decay due to exposure to a local salt air environment, oxidation, or sunlight. An insurance company Underwriter may impose other special provisions before they accept the risk of insuring some items, these may include discounts for taking precautions, or making the policy holder meet some new requirement. For example, to encourage good practices insurers usually provide a discount to the policy holder if smoke detection or a burglar alarm system is provided. Insurers may reimburse at "Replacement Value" so that if the item lost has increased in value since the time when the policy was first put into effect, the insurer will reimburse at the new higher cost - assuming of course that it remains within insurance coverage dollar limits. Or they may reimburse at "Actual Value" based on cost less depreciation, or what it might cost to replace the item if purchased in a similar condition on the open market. Under almost all circumstances one can only insure the property which is theirs. So if you loan a telescope to a friend or to an astronomy club observatory, then it is not likely that the club or another individual will be able to obtain insurance on your property. And in cases where a claim is filed for damage which was was caused by someone else, then your insurance company may choose to pursue those who caused the damage. A Residential (All Risk) or Floater policy does usually provide coverage of articles even when in transit and not in your immediate possession. However, it will usually not be best to call upon your own insurance policy to provide the first level of coverage for articles lost or damaged if other insurance is also in effect. Rental Car For example, if you lose a telescope while it was left in a rental car then the optional contents coverage option of a rental car insurance policy may cover it if you elected to buy that optional coverage; note the car rental "Contents Loss" insurance option differs from "Collision" insurance option. If you lacked the "Contents Loss" optional coverage, then you could contact your own insurance company about the loss. Airline The Residential (All Risk) and Floater policy usually provides coverage for damage occurring when transporting a telescope on a commercial airline flight. Although the commercial airlines do provides some limited coverage against loss or damage from improper handling. In the US the coverage is now something on the order of $500 per article of baggage, and this assumes the item is reasonably well packaged. The limits of liability do vary from country to country. When one stands near an airport baggage claim conveyor belt to observe how poorly some people pack their odd items it becomes easy to understand why airlines impose moderate limits. The airline limit of liability rarely covers the cost of replacing the telescope's accessories much less the cost of a good complete telescope. Common Carrier refers to an organization licensed to engage in making interstate deliveries. This will include familiar names: U.S. Mail, United Parcel Service, Federal Express, DHL, United Van Lines, etc. If you do send a telescope by common carrier then here too your Floater or Residential insurance policy may provide coverage in instances of loss or damage in transit. Optional Shipping Insurance Most shipping companies do a good job of delivering articles to their destination, and often these arrive intact if the packaging was adequate. Most carriers offer to sell the sender optional insurance on the shipment, while some include a degree of coverage. For example the packages sent by Federal Express and UPS are automatically protected for loss of up to $100. The sender may opt to buy insurance which is usually based on a set rate per hundred dollars of value. This insurance is in effect only from the time period between pickup to delivery. If the limited coverage of the airlines does not pay back the full replacement cost of the loss then you may file a claim with your Residential or Floater policy issuer, while in cases where the damage was caused by a shipper and a claim is filed against your own policy then your insurance company may choose to move against the carrier that caused the damage. Having an shipment insured by the carrier does not guarantee payment if the article is damaged in transit since the shipping company will demand the customer first file a claim, and then make the item and its packaging available for inspection. The inspection is to assure the shipper that the contents were packaged in a proper manner. Highly valued insured packages do receive better care while in transit. We at Company Seven will on occasion declare a package at a much higher value than the actual cost of that article to insure better handling while in transit even though the carrier will only pay claims based on the actual proved value. Inversely some customers overseas request we file a value claim for Customs purposes that is much lower than the actual value of the shipment; we can not do this. One of our customers asked we put a value of $200 on a $7,000 telescope however, our sense of ethics preclude our making false statements. And if damage or loss were to occur in transit for an undervalued package then the customer risks being reimbursed for much less than what he actually paid. It is after all inconsistent to claim a value of some small amount for Customs, yet insure the package for a higher amount. Valuable items sent by International Mail can usually not be insured for their full value since the upper limits of provided coverage are usually between $500 and $800 depending on the destination. In those instances where the package contents value exceeds the insurance coverage, we recommend you consider commercial carriers. It is the responsibility of the shipper to file a claim for damage with the shipping company, although the recipient is more likely than not going to be the first to report the damage to the delivery company and to the sender of the packages. Any payment by the carrier is made to the shipper who paid for the insurance and not directly to the recipient and so it is up to the customer to choose to work with a diligent supplier of the goods in the first place. If a claim is filed and approved then the carrier will make payment for the lower of either 1. actual proven cost of the merchandise, or 2. the insured value. Insurance claims made to most reputable shippers are investigated and usually paid within a month or so. But we have observed the International Mail claims process proceed over the course of a year or more! And one last note along this line of thought, there are legal protections that are only provided by the postal authority. So be aware that many fraud attempts demand you send almost payment or other items by any carrier other than the Mail so that the crook may avoid facing investigation and prosecution by postal authorities. If you are traveling to a distant destination, then consider shipping the items ahead so they will be there when you arrive or soon after. This avoids risks of loss in transit by the airline, theft at the Baggage Claim, and the other hassles typically encountered at the airport and with car rentals. Carry the most critical compact or sensitive items on to the plane if possible. Securely pack the items if stored within baggage, ideally with a two (2) inch void surrounding the component. The item should be protected by bubble wrap or another suitable buffer. Also realize that the objective when packaging is not only to protect the contents from damage that may come from outside the container, but also to prevent the contents from becoming a projectile and coming through the container if it is dropped. Package within our custom engineered ATA Case, one that is specifically designed to protect those contents (see examples below). Insure the item with the insurance carrier or shipping company. If you are going to a destination where the risk of loss is heightened, then you may consider contacting your own (or another) insurance company altogether to buy a "Floater Policy". In this way, if there is a loss then it probably will not reflect adversely on your homeowners coverage. Right: Company Seven ATA Case custom fitted for a Astro-Physics 13cm EDT Apochromat Telescope with 2.7 inch Focuser (65,974 bytes). Click on image to see enlarged view (215,942 bytes). and Counterweight Shaft. No. 1 of 2 case set (184,869 bytes). Insurance companies have specialists who constantly evaluate risks. Considering most crooks are not smart enough to appreciate telescopes but they are smart enough to realize what they can move and pawn readily, telescopes are not high on the threat list. Most insurance companies consider an amateur telescope to be personal property classed among those items routinely covered by Residential policy "contents" coverage. As such, telescopes do not usually have to be listed item by item on a Residential insurance policy. And no extra coverage or special listing is demanded by Residential policy insurers for telescopes unlike that which the insurer might require for other high risk items including jewelry, furs, or guns. Telescopes are rarely destroyed however, when this does occur then it is usually the result of one of two mechanisms either mechanical impact (drop or struck by), or the more insidious decay by fungus or mildew. Unfortunately for some telescope owners, most Residential policies do not provide coverage for loss or damage due to those two hazards. Residential policies do not afford protection against owner negligence, a Floater Policy usually does. Professional or Amateur Owner? Most telescopes sold are used for recreational nonprofessional uses, since the owner does not derive an income by using the instrument. The class of insurance provided on the equipment may depend on whether or not one uses that equipment for professional use or not. Insurance company Residential policies often exclude equipment used for professional purposes from coverage. If equipment is to be used in a profession then the insurance company may demand an altogether different policy. They may also require the owner of the policy also buy some form of liability coverage in addition to the policy on the equipment itself. And the insurance on the equipment may limit one to using it at one location only. To travel with the equipment (to a destination away from where the equipment is stored) the insurance company may require a "Floater" policy. There can be gray areas. And some insurance agents or Underwriters may misunderstand how an amateur may use their telescopes in a "professional manner", or the agent may confuse volunteer work with compensated activities. For example if you use the telescope to gather data for a scientific organization (ALPO, IOTA, etc. ), and you receive no compensation then the Residential or Floater coverage should be adequate. But if you use the telescope in your profession, or even if you use your telescope to obtain an astrophotograph which is then published in a magazine with compensation being paid to you, then you have crossed the line into "professional" and the insurer has the right to refuse to honor a claim under most Residential policies. In practice few insurance companies are going to look back over the past twenty years of astronomy magazines to determine whether or not you are a professional. But if you do use a telescope in a compensated activity, then the insurer can require you buy additional policies including professional or business liability. And the cost of the basic coverage changed from Residential to Business use is likely to be somewhat higher. It is in the policy holders interest to err on the side of the policy issuer so that coverage is not denied if a claim is ever filed. Home Observatories: An approved "dwelling extension" may be included in a Homeowner policy. Typically, the home owners policy provides coverage in an amount up to ten per cent (10%) of the cost of the dwelling. So a dwelling insured for $250,000 may include coverage for a dwelling extension valued at up to $25,000. A attached or detached astronomical observatory (dome, sliding roof shed, etc.) may be included by an insurer under the standard policy, or they may require a separate listing. In some areas the home owner may be required to show proof to the insurance company that the observatory complies with local zoning ordinances, with community covenants and with state electrical and structural building codes. A home built observatory that collapses due to poor design or construction techniques may not be covered by an insurer. In Florida for example a "Hurricane Certificate" will probably be required (an engineering study concluding the structure will survive hurricane force winds) in order to obtain coverage of the observatory; we have experience with this since any dome or other structure recommended by Company Seven to our customer will comply with their state and federal requirements. It will be best if you consult with the local zoning and inspection authority as well as with your insurance agent in advance of proceeding with the construction of an addition or detached structure. And as you put any observatory into service you should also consider providing a monitored security/burgulary system, lightning strike protection and grounding, and if applicable AC current surge protection. An alarm system (fire and burglary) will often qualify the policyholder for some discounted insurance rate. How to determine what is best for you? Most insurance agents will suggest either a Residential "All Risk" policy, or a separate "Floater" policy for telescopes used away form the home. If the telescope is not to be used in a hazardous environment (tropical climates, or seashore environments), or in a reckless manner (traveling to dark sky sites in war zones) then we suggest merely increasing the coverage on your Residential insurance policy specifically for contents. The way that most policies usually work provides the insurance company will allow up to a 10 per cent loss (of the total contents value) claim to be paid for losses that occur off premises usually even internationally. So for example, a house with $300,000 coverage of the structure and $100,000 coverage of contents will usually allow a loss of up to $10,000 be covered "off premises". If you have a telescope that cost $10,000 or less then this may be fine. But if you have a telescope worth $20,000 then it will probably be more cost effective to increase your homeowners coverage for contents to $200,000 than to buy a separate $10,000 policy on the equipment. The rate of a Floater Policy will vary depending on the object to be insured. The rate on equipment including telescopes will probably be something on the order of $2 per hundred dollars of value (based on rates quoted in April 2003). So if you own a telescope that with accessories are valued at $4,000.00 then the cost of insurance by means of the Floater Policy would be something on the order of $80 per year. One could raise the home owners coverage for contents and a residence from $500,000 costing about $550 per year to $700,000 by paying only about $140 more per year. It is usually a very simple matter to raise home owner or renters contents coverage with a phone call to your insurance agent. Ship the items ahead. Pack the items securely, ideally with a 2 inch void surrounding the component. The item should be protected by bubble wrap or another suitable buffer. Also realize that the objective when packaging is not only to protect the contents from damage that may come from outside the container, but also to prevent the contents from becoming a projectile and coming through the container if it is dropped. Securely pack the items if stored within baggage, ideally with a 2 inch void surrounding the component. The item should be protected by bubble wrap or another suitable buffer. Also realize that the objective when packaging is not only to protect the contents from damage that may come from outside the container, but also to prevent the contents from becoming a projectile and coming through the container if it is dropped. 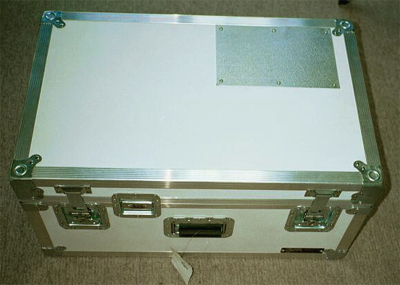 Package within ATA Cases specifically engineered to protect those contents. In call cases insure the item with your insurance carrier or shipping company. If you are going to a destination where the risk of loss is heightened, then you may consider contacting your own or another insurance company altogether to buy a "Floater Policy". In this way, if there is a loss then it probably will not reflect adversely on your homeowners coverage. When and How do You File A Claim? Insurance is there for a worst case scenario. It is not something to be taken for granted or abused. As noted earlier, it will usually not be best to call upon your Residential or Floater policy to provide the first level of coverage for articles lost or damaged when they are not in your possession if other insurance is also in effect. One should carefully weight whether or not to file a claim since insurers do look at the policy holder claim history when they determine their rates, and whether or not to cancel or refuse to renew a policy. The time to prepare for a loss is before the need to file a claim arises. Keep it in mind that the customer retains the responsibility to prove ownership of property that is lost, or must be able to present property damaged for inspection to the insurance company Claims Adjuster. To make life easier before any loss occurs, it is important to establish an inventory of belongings to be covered under a policy. We suggest our customers keep proof of ownership including: photos of the equipment, sales receipts, etc. One may establish a database on personal computer of everything notable. The database ideally would include digital images of the objects or images taken from manufacturer web sites, etc. Keep the database backed up regularly at home with another copy elsewhere so that if there is a catastrophic fire then the information can be accessed. When you become aware of a loss, begin the process of documenting the incident and evaluating options. In the case of theft or other criminal activity contact the local police as soon as possible and file a formal report. Provide the police with as much information (description, dimensions, labeling, serial number, etc.) and copies of photographs of the equipment. You may have to wait a few days before you can obtain a copy of the report but at the scene you should be provided with 1. case number, and 2. name and contact information for the police officer who took the report. Obtain a copy of the report when it is made available to you. Written and documented reports of losses are especially important when theft is involved. Do not worry if you overlooked something missing at first glance, it is not uncommon for someone in shock over such a loss to overlook one or more items that may have been taken. This is why it is helpful not only to have photos of each item, but also to have photos on hand of how a room or an area is arranged with the contents. If you think of something else, call the police officer who wrote the report and mention it to him. In any instance of loss, write down any information and provide a description of property stolen or damaged. If possible take photographs of the scene if they show evidence of break in or loss. Then, if the loss is substantial enough so that you are prepared to risk some increase in the rate of our insurance policy, or if you find it desirable to replace the missing property buy do not have the means at hand to do so, you should contact your insurance company or agent to report the loss. The agent may be able to provide advice about how the insurance company will look upon the claim, and if you decide to proceed he will provide a Claim Number and the appropriate claim form. Try to include everything on the original Claim Form and carefully assess damages since amended claims may take longer to pay. If you believe an insurance matter is not being processed in a fair or proper manner by the insurance company, then you may appeal to a higher authority within the organization with which the claim is filed. Or in most U.S. States you may escalate the matter even further to the State Insurance Commission, this is a government organization which regulates insurance companies in their state. The exact nature of their jurisdiction may vary from state to state, and they may have no authority to deal with matters involving insurance of interstate transport (where the U.S. Interstate Commerce Commission, Washington, D.C. may have oversight). During this time of this process you may find it beneficial to study alternate insurance carrier for your future policy needs just in case your current relationship with the insurance company becomes untenable, regardless of whether or not the matter is ruled in your favor. Check with your insurance agent for more details, and to learn more about how this may apply to you! ACTUAL VALUE - Insurance under which the policyholder receives an amount equal to the replacement value of damaged property less depreciation. Cash value coverage takes into account the age and condition of items at the time of damage or loss. For instance, if your five-year-old TV is stolen, a cash value policy will pay only part of the original purchase price while a replacement policy will pay the current price of a comparable set. Unless a homeowners policy specifies that property is covered for its replacement value, the coverage is for actual cash value. ACTUARY - a certified business professional usually with a actuarial science degree or with a mathematics, financial, and or statistics background who analyzes the financial consequences of risk. Actuaries are an Associate, and ultimately a Fellow of one of the professional actuarial societies; they must pass an examination administered by one or more actuarial professional societies. Actuaries study uncertain future events especially those of concern to insurance and pension programs. Actuaries may work for insurance companies, consulting firms, government, employee benefits departments of large corporations, hospitals, banks and investment firms, or, more generally, in businesses that need to manage financial risk. ALL RISK - a policy where there insured property is covered up to the limits of the policy while located on or off premises, even while in transit when traveling by air or sent by Common Carrier. APPRAISAL - document certified by an expert or retailer establishing either Fair Market Value, Actual Cost, or Cost less Depreciation of an item. Company Seven is an expert in our areas of expertise in the eyes of the U.S. Internal Revenue Service; our professional appraisal would be valid for tax purposes, and certainly for insurance purposes too. BENEFICIARY - the person, persons or organization whom the policy specifies is to be paid in the event of a successful claim. CASH VALUE - see "Actual Value". CLAIM - request made by the Policy Holder to the Insurance company for payment or repair under provisions of a policy. Filing (or submitting) a Claim does not in itself guarantee payment. The insurer will require proof of ownership, and may request proof of loss in the formal of a legal document such as a Police Report. CLAIMS ADJUSTER - the insurance company specialist who may be called upon to visit the scene of a claim, or evaluate damage to property in order to determine what the insurance company will pay. DEDUCTIBLE - the portion of the costs that will be paid by you out-of-pocket per incident or claim. The lower the deductible, the more the policy will cost you. If a claim is filed for a $2,000 loss and your deductible is $500, you pay $500 and your insurance company will pay $1,500. The lower the deductible is, then the more the policy will cost. You may request the deductible be a higher amount, this will lower the cost of the policy. DEPRECIATION - Reduction in the value of property due to age and use. DISCOUNT - You may be eligible for discounts if your observatory or home has a monitored security system, smoke or fire detectors, sprinkler system, or dead bolt locks. DOCUMENTATION - Still or video pictures, sales receipts, catalog or internet site descriptive articles. Store the inventory and visual records away from your home, perhaps in a safe deposit box or in the case of images you may keep them on an on-line archive. FLOATER POLICY - (or Scheduled Personal Property Endorsement) Amendment or attachment to a homeowners policy insuring movable property, covering losses wherever they may occur. It provides broader coverage than a regular homeowners policy for relatively higher risk items, or items whose value may exceed that provided in a more common Residential Policy. A personal article floater policy generally requires the policy holder itemize each article, gives a description of the article insured and it may list excluded perils. It often provides coverage that is broader than the coverage granted in the home insurance policy. There is typically no deductible applied to this coverage. FRAUD - Most insurance companies do not cover a loss due to fraud. This means if you buy a telescope from some party who has misrepresented the item (maybe it does not work as it should, has poor optics, etc. ), or if an item that has been stolen, then the buyer of the telescope can not be reimbursed for loss or repairs. 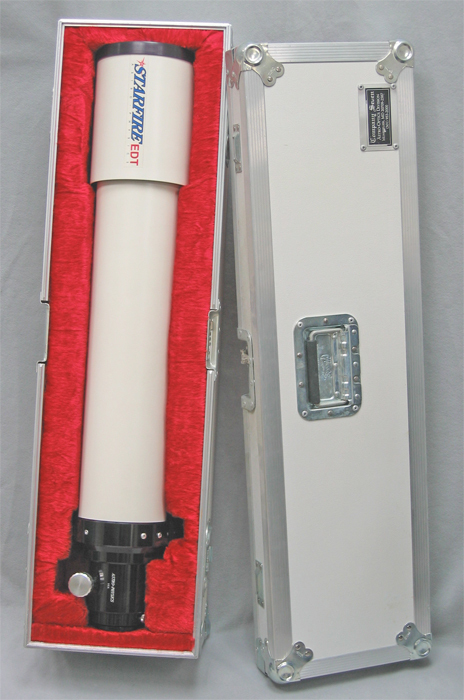 One could buy a telescope from an auction site (eBay, etc.) or from a retailer who sells used equipment where the seller may or may not know they were transacting in stolen property. If the property becomes identified as misappropriated then it should be turned in or it may be confiscated by the authorities. Furthermore, anyone in possession of the property could be criminally charged. So it is critical that a buyer must know the source and complete prior ownership history of their telescope and retain receipts as proof of where they bought the item. Company Seven routinely screens any used property we take in on consignment or trade for proper operation and clear title, and we have in fact aided in the recovery of a number of stolen items over the years. HOMEOWNER POLICY - provides protection against the financial consequences of personal losses. The typical homeowners insurance policy covers damage resulting from fire, windstorm, hail, water damage (usually excluding flooding), riots and explosion as well as other causes of loss, such as theft and the extra cost of living elsewhere which the structure is being repaired or rebuilt. A Homeowners policy usually includes 1. Dwelling, 2. Other Structures, 3. Personal Property, 4. Loss of Use, and 5. Liability. INSURER - the company that issues the policy and accepts the risk, they will evaluate a claim and make payment to the beneficiary of the policy. LIABILITY COVERAGE - insurance which pays the losses of other people to whom you unintentionally or through negligence cause injury. Bodily injury liability coverage pays medical costs of others and your legal defense costs. And Property damage liability coverage pays claims against you if you damage someone else's property. Covers your legal liability (up to policy limits) if you, members of your family, or even your pets hurts other people or their property, not just in your house, but away from it, as well. NAMED PERIL - a policy with defined limits to provide coverage only in those instances where the loss occurred because of certain named hazards. POLICY HOLDER - the individual, individuals, or organization who own the insured property, and to whom the policy is written. In most instances payment for a claim is made to the policy holder, in some instances such as when a lien is held by a lender then some or all of the claim may be payable to the lien holder if the policy so specifies them as the beneficiary. POLICY LIMITS - Some possessions possibly jewelry, or computers may be subject to a per-category theft limit; for example, some policies have a $5,000 limit for computers. When seeking information about a Residential policy, ask the insurer about the various category limits and how they apply to expensive items you own. You may purchase a floater, providing additional coverage for specific items not included in your basic policy.� You should ask if you need to specifically declare a value for any possessions and/or provide an appraisal or purchase receipt. PREMIUM - The amount paid for insurance coverage. This is not always paid by the beneficiary of the policy. RENTER'S POLICY - provides a tenant with coverage of personal property and liability. Renters insurance will protect against losses due to fire or smoke, lightning, vandalism, theft, explosion, water damage from plumbing. Renters insurance will also apply if someone is injured in the insured apartment generally covering the policy holder's responsibility to other people injured at the apartment. In addition this policy provides liability coverage and legal defense costs if the policy holder is taken to court (up to policy limits). REPLACEMENT COST - insurance that pays the dollar amount needed to replace damaged personal property with items of like kind or quality with no deduction for depreciation. Replacement value policies tend to cost more, and there may be other requirements as well. STAND ALONE POLICY - a type of insurance that is specially designed to protect valuable items. UNDERWRITER - Employee of an insurance company who reviews applications and appraises risks and sets the rates. They accept, reject, or modify the policy according to law or company standards. The Underwriter may be an Actuary or rely on advice from an Actuary. An insurance company may lose business to competitors if the Underwriter appraises risks too conservatively, or it may have to pay excessive claims if the risks were underestimated. Provided as a service to our customer by Company Seven Astro-Optics Division, Montpelier, Maryland. We take no responsibility for anything you do because of what is written here. In fact the author was drunk and completely out if his senses at the time he wrote this article. And, then the author (while still in a stupor) posted this article on line without the knowledge of any one else at Company Seven.